Alex, as a professional full-time caricaturist, will bring an extra fun to your wedding and make it special and memorable. 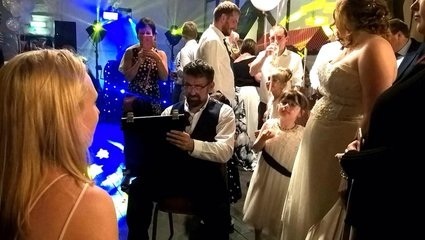 He will draw funny images of your guests to remember your wedding. Caricatures and portraits from photos are also available.